At approximately 40 kilometres from the coast, at a 45-minute drive from Marbella, is the beautiful city of Ronda. Not only its historical sites attract people. 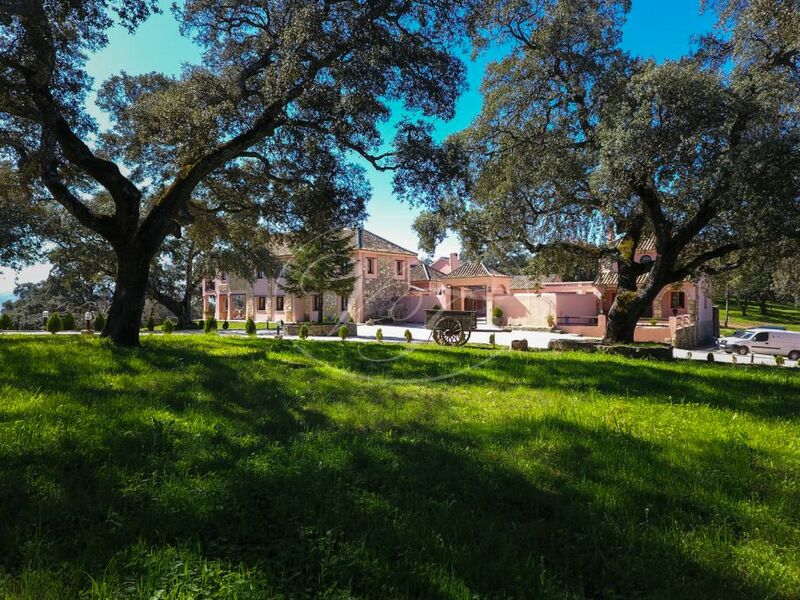 In the rolling hills around Ronda, you will find the most stunning country estates, cortijos and country houses and vineyards for sale. We would like to introduce to you, some of the areas around Ronda in which we have country properties for sale. The rolling hills of Ronda de la Vieja are excellent for vineyards. The views either towards Ronda, the Sierra de las Nieves or the Grazalema mountains are spectacular! The archaeological site ‘Acinipo’ shows that the history of this area goes far back. We have some beautiful farms and estates for sale in this area. Here you can combine equestrian activities with labelling your own wine, or even labelling your own ham! Driving towards the village of Arriate you will find the famous vineyard ‘Bodega Cortijo Las Monjas‘ from Baron van Hohenlohe. Combining the tranquillity of country life with the town of Ronda on your doorstep is what attracts people to this area. Following the road towards Setenil de las Bodegas, the environment changes and you’ll find extensive olive groves and grazing fields. Taking a sidetrack towards the Ascari resort, you will find the exclusive area of El Parchite. We are proud to offer one of the best luxury villas in this region. 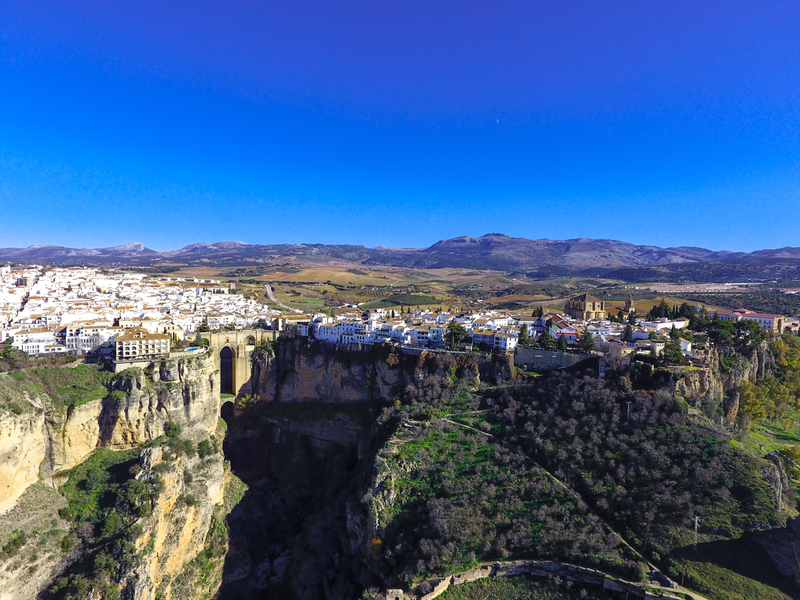 The city of Ronda offers everything you need. It’s historical sites such as ‘El Tajo’, the oldest bullring of Spain, the cathedral and the ‘Baños Romanos’, to mention some, attract many visitors. Yet, Ronda also has the facilities you would expect to find in a larger city. A hospital, doctors and dentists services, (private) schools, an interesting shopping area, a theatre, a cinema, sports facilities etc. Most of the services offered will be in Spanish, however, there is a constant international increase in various activities and services by international foreigners that have decided to live in Ronda. The variety of restaurants and bars in and around Ronda is diverse. You can find three-course lunch menus of home-cooked dishes for just 7€ in one of the Ventas on the outskirts of Ronda. Visit the Michelin star Restaurant Tragabuches and everything in between. Meeting up for tapas on Plaza del Socorro is another possibility. What to do in Ronda? Horse riding, walking or biking through the mountains around Ronda is divine. If you are looking for unspoiled nature, here is where you will find it! If you prefer to undertake these activities in groups there are several equestrian and walking clubs in the area as well as the more adventurous clubs for rock climbing or mountain biking. If you fancy a few rounds on a real race track we can recommend the Ascari Race Resort.